When you need a hand with your essays, you might consider turning to any number of websites for help. Today we’re investigating essayservices.org to see if they are the best place for you to go when you require some assistance. 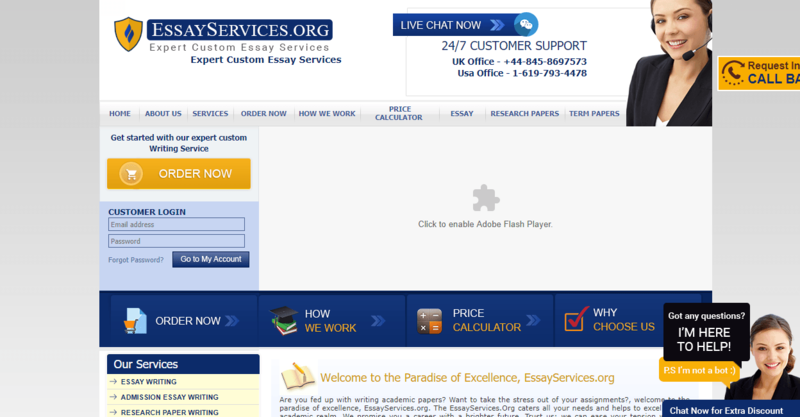 Essay Services offer a wide variety of services, from the typical essays to creative writing to financial analyses. However, they don’t seem to exactly cater for students in the United Kingdom, as all prices are quoted in dollars rather than UK pound sterling, and the academic levels are not British ones. We always think it’s important to assess the quality of the work any essay-writing site does. We checked their sample page, but it was unfortunately empty. Their testimonials page only contained a few vague comments rather than anything specific. We also looked at the quality of the writing on the site itself, and found several prominent typos and errors in plain view. In addition, we searched Google for external comments about the site, and found several claims that the site was a scam. Customers complained that they were given a sub-par product in return for their hard-earned money, and that the site would not refund them. We put together a quote based on needing a 10-page critical essay to a premium standard due within 3 days for an undergraduate student. This cost a total of $346.28 (price was only quoted in US$ not UK£) before any discounts had been applied. No matter the urgency or length, that’s a lot of money to spend without being sure you’re going to get a good paper in return. 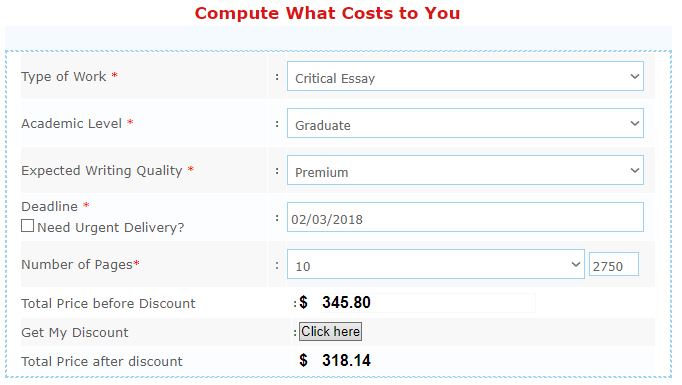 Essay Services do provide a ‘draft’ service whereby they will prepare a free summary of your paper within 2 hours of your request. They also offer a money back guarantee if you are not satisfied, and a ‘test your writer’ service where a short draft will be prepared for you for $3.99. At essayservices, you can request an instant call back, you can chat live with their representatives, you can call them yourself, contact them via Facebook or Twitter, or you can join their open forum. It’s worth noting that we did not find any actual posts in their forum. Low quality of writing, problems with quality guarantee. Typos and grammar mistakes in website's content. Services are priced in USD. Is essayservices.org the one to choose? It’s definitely worth looking into what they offer. However, we don’t think they are anything special, unfortunately, and we feel there are better, more reliable, alternatives out there.